A woman was left outraged on Saturday afternoon when she was clamped after leaving her car for just over half-an-hour in a car park. Gillian Murphy was shopping for just over half-an-hour at Aldi beside the Bridgewater centre in Arklow. When she returned to her car she was shocked to find it had been clamped. When the attendant returned Gillian demanded to see a photograph to prove that she wasn’t over the hour time limit. ” I was so upset because I had the baby with me and he is only 4 weeks old and I had to get home to give him a bottle.” she continued. Eventually the clamp was removed but no apology was offered to Gillian for the mistake that had been made. The service provider could not be contacted today for comment. Clamping has been an on-going issue at the car-park for some time. 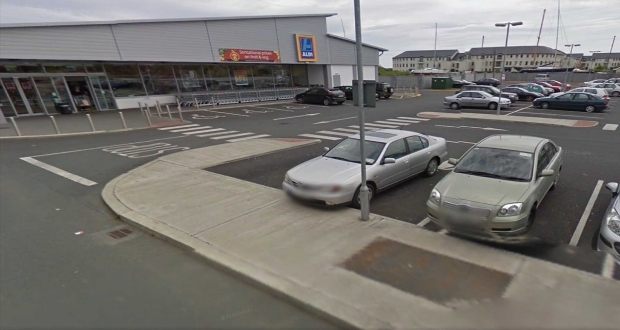 The system was introduced because of an ongoing problem of non Aldi shoppers parking for extended periods of time. There are signs in the car-park which state you have 60 minutes free car-parking with 15 minutes grace before clamping takes effect.